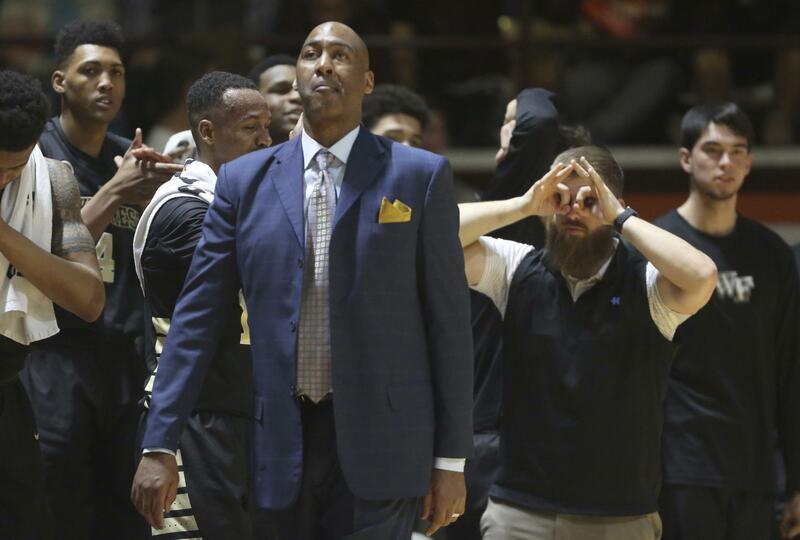 Vanderbilt did what no other member of the Southeastern Conference could do this season. The Commodores swept Florida, and that could be enough to almost guarantee an at-large bid to the NCAA Tournament. The Commodores (17-14, 10-8) have won five of six as they head for the SEC Tournament. Another SEC team that seemed to play its way off the bubble is Arkansas (23-8, 12-6), which beat Georgia 85-67 on Saturday, the Razorbacks’ sixth win in their last seven games. “We’ve done what we’re supposed to do,” Arkansas coach Mike Anderson said when asked if he felt Arkansas had earned an NCAA berth. Syracuse (18-13, 10-8 Atlantic Coast Conference) beat Georgia Tech 90-61. The Orange had lost four of five before their current five-game winning streak. Wake Forest followed its upset of Louisville with a road win, something the committee loves. The Demon Deacons (18-12, 9-9) beat Virginia Tech 89-84, and they should be in the field barring somehow losing to Boston College in the opening round of the Atlantic Coast Conference Tournament. Rhode Island (21-9, 13-5) beat Davidson 73-70 in overtime. The Rams’ fifth straight win has them in the bubble talk, and they can help themselves with a win or two in the Atlantic 10 Tournament. The Big East had four teams facing games that would have been devastating to their bubble chances with a loss. All four won, meaning the 10-team Big East could get seven schools in the NCAA Tournament. Providence beat St. John’s 86-76, Seton Hall beat No. 13 Butler 70-64, Marquette beat Creighton 93-83 and Xavier beat DePaul 79-65. Xavier may need to beat DePaul again when the two meet Wednesday night in the opening round of the Big East Tournament. Xavier snapped a six-game losing streak, and a loss to a team like DePaul could prove costly. Seton Hall, the defending Big East Tournament champions, would be in the best shape of the four with the win over Butler, the Pirates’ fourth this season over a top 50 team in the RPI. “We have won seven of nine. That says a lot about this team,” Seton Hall coach Kevin Willard said. Illinois State seems to have wrapped an at-large berth with its 63-50 victory over Southern Illinois in the Missouri Valley Conference Tournament semifinals. The Redbirds (27-6) lost to No. 21 Wichita State in the tournament’s championship game on Sunday. Kansas State beat Texas Tech 61-48, a victory that gave a real boost to the Wildcats’ chances. What would end any bubble talk would be Kansas State beating No. 11 Baylor in the quarterfinals of the Big 12 Tournament. Two teams that had been hanging around the bubble conversation pretty much eliminated themselves from at-large consideration with losses on Saturday. DeShawn Freeman hit a 3-pointer with seven seconds to go and Rutgers beat Illinois 62-59. The Illini (18-13, 8-10) had more than bubble talk on their minds as coach John Groce’s job has been a topic of discussion. The win was Rutgers’ third in the Big Ten. California crept into the bubble conversation, but the Golden Bears (19-11, 10-8) lost 54-46 to Colorado, a loss that means California has to make a good run in the Pac-12 Tournament. The Big Ten had three games Sunday with bubble implications. Iowa beat Penn State, a win the Hawkeyes needed to keep their slim hopes alive. Northwestern lost to No. 16 Purdue. It’s not that Northwestern needs to do anything else for an at-large bid, but it sure would have eased the minds of Wildcat fans to have a win over a ranked team. Michigan was at Nebraska and took an easy road win that was great for the Wolverines heading into the Big Ten Tournament. Published: March 5, 2017, 10:17 p.m.